Summer has just begun, and for many of us, it’s that time of year to get healthier. We spend more time in the sun doing outdoor activities, drinking more water and eating lots of fruits and veggies. We put all this emphasis on self-improvement, but why don’t we improve the environment while we’re at it? According to Statistics Canada, roughly four out of five Canadian commuters use their private vehicles to get to work every day. That’s a lot of unnecessary pollution. We’ve come up with some useful tips for eco-friendly driving that will benefit both you and the environment! Eco-friendly driving begins with maintaining your vehicle. This is something that is actually very good for fuel economy! Make sure your tires are properly inflated, and you change your oil every three months. The quality of engine oil you decide to use also affects fuel economy. The more efficiently your car runs, the less fuel it will have to consume! Most of us are guilty of leaving the car running when making a call, or waiting to pick someone up. This is a habit we should all try to break, as re-starting a vehicle uses up far less fuel than leaving it running idly. Cruise control was designed to use when driving on flat, dry roads. This setting allows you to maintain a steady speed until you choose to turn it off. You use a lot less fuel when maintaining a steady speed. However, make sure to drive regularly when approaching hills or curves in the road. Fuel is wasted all the time, especially on the highway. It’s no secret that the faster you drive, the more fuel you use. Try to make a conscious effort not to drive too fast, maintain your speed, and don’t accelerate or brake too abruptly. 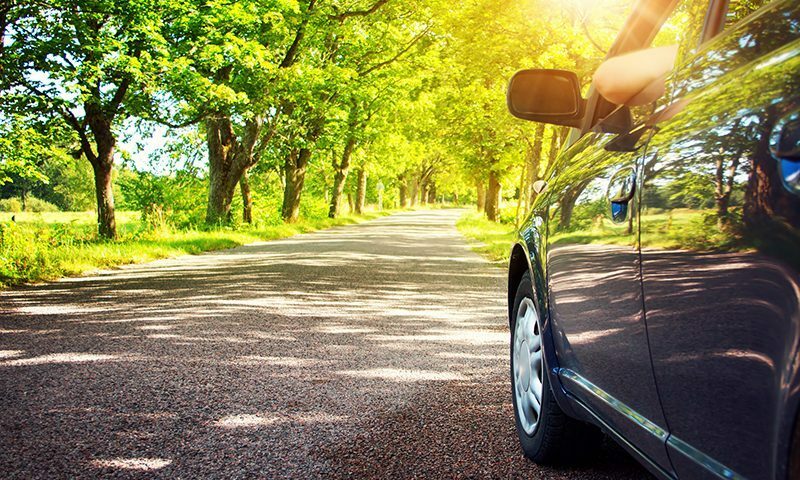 These are eco-friendly driving habits that will improve your gas mileage. When you have unnecessary heavy items in your car, it weighs down the vehicle. This means the engine has to work harder and use more fuel in order to run efficiently. Consider taking out any heavy items you don’t need on a daily basis. Using air conditioning during the warmer months seems like a no-brainer, but we sometimes forget how much battery usage it requires. Instead, roll the windows down when you can. There are lots of eco-friendly transportation options you can take advantage of. You can take the bus, carpool, bike, walk, etc. While they are not always the quickest or most convenient methods, you can feel good about doing your part for the environment. Ottawa Honda is committed to the environment, as our vehicles are designed to conserve fuel and energy while maximizing performance. For more information about current car deals and promotions, contact us today!